Rupe's just put a JDM spec in his missus 1.8 BJ and im about to put the one out of the JDM Mazdaspeed Familias into my car. The Odometer reading is stored in the dash cluster not the car ecu. Look for the lowest milage possible for the new dash. The manual cluster wont have the overdrive light for the auto - or at least it wont have the bulb. It may have the wiring though, so stick a bulb in the same position and see what happens! Thanks a lot Guys that's a big help I'll get one and let you know what happens. You can see is this pic that its got a higher redline and is only 180KPH and is also missing the immobilizer light. With the amount of school zones around here I need that! 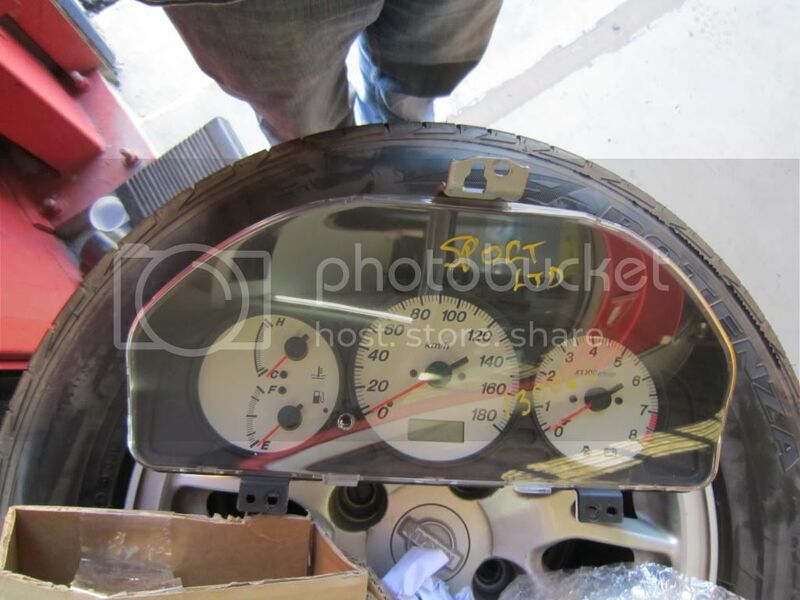 I think Brisboy used to have a SP20 dash with about 95,000km on it. He may still have it so I would check with him before buying a new one. Where can I get those rings I've seen from other member?? Last edited by Whiskey1; 06-04-2011 at 06:01 PM. You mean the silver rings around the dial fascias? Streetunit used to make them. There known as DaveB rings btw. Anything you get nowa days is an immatation and requires sticking down.